Many teenagers and young adults face problems with third molars or wisdom teeth. Surgical wisdom tooth extractions are commonly performed because a third molar can’t erupt normally due to its position in the jaw or a lack of room in the oral cavity. Trapped inside gum and bone, they may attempt to emerge, erupting at awkward angles or even sideways. Because this can threaten the health of neighboring teeth and cause a number of uncomfortable symptoms and potentially dangerous infections, most dentists recommend extracting the teeth immediately before more damage is done. 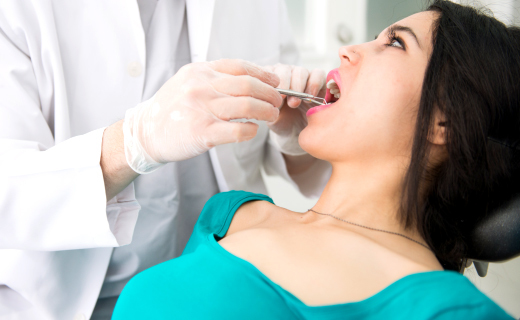 If the third molars aren’t causing any problems, wisdom teeth extractions aren’t necessary. Many wisdom teeth erupt normally and can be treated the same as any other tooth. As long as the tooth can be easily brushed and flossed, it’s fine to leave it in the mouth. Tooth extractions are usually recommended if the teeth have partially erupted and are inflamed or infected. The soft-tissue growth that covers a partially erupted wisdom tooth may become infected when bacteria find their way beneath it. Another reason for removing a wisdom tooth is poor positioning, which may result in periodontal pockets, tooth crowding, or receding gums. If the gum tissue covering wisdom teeth causes symptoms, it can be modified without extracting the tooth. If you have an intact wisdom tooth, you may need to change the angle when you brush or floss more frequently to get the best results. Consult an affordable dentist in Dalton to evaluate and manage your third molars—or perform wisdom teeth extractions, if needed.